After the 208 R2, Peugeot Sport is opening a new chapter in the sports variants of the 208, and not least with the 208 Type R5. A true ‘competition wildcat’, it will replace the 207 Super 2000, benchmark of the S2000 category as much for its technical performance as for its sporting and commercial performance. 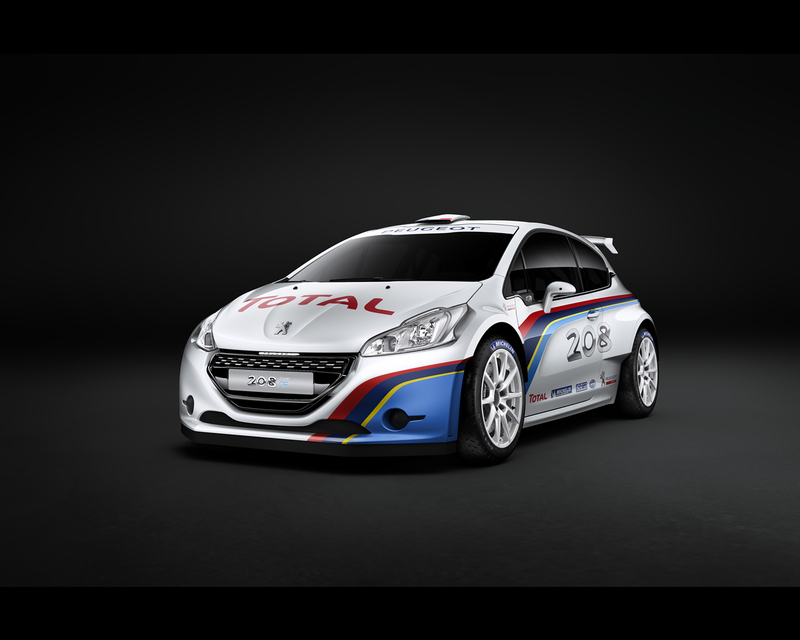 Announced at the end of 2011, the 208 Type R5 was unveiled in Paris at the Mondial Automobile Motor Show. 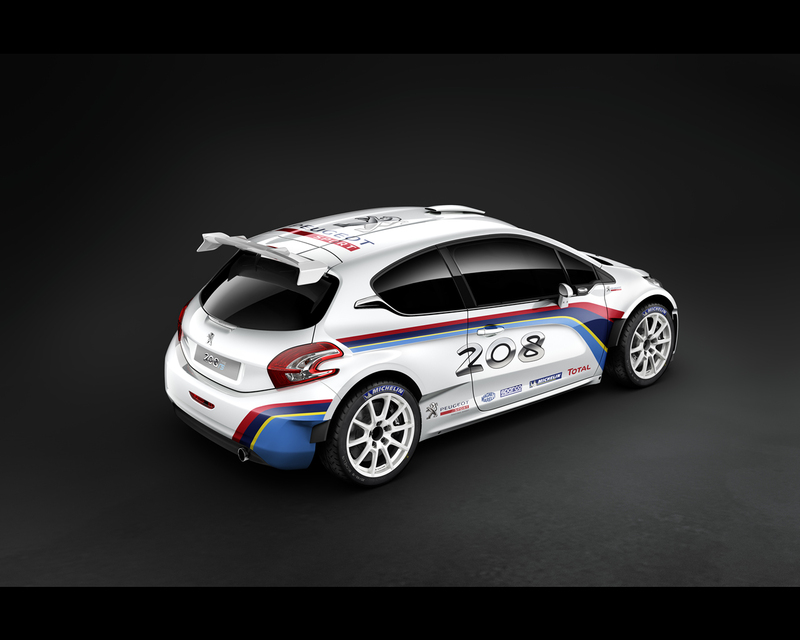 Its contours and its technical assets continue Peugeot's rallying tradition. 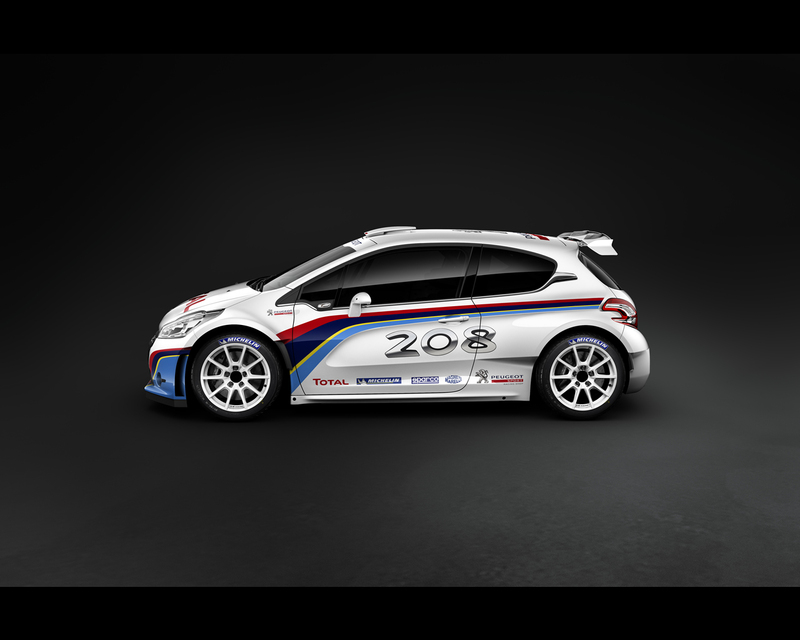 ‘Body built’ for asphalt (tarmac) and loose-surfaces (gravel), the 208 Type R5 will compete in its first rallies and go on sale in the 2nd half of 2013 in order to be able to conquer the national and international championships the following season. As a pioneer, the 207 Super 2000 won everything and has without doubt had the greatest record in the category. It has accumulated six Intercontinental Rally Challenge titles, many crowns in various national championships and numerous victories worldwide including San Remo, the Tour de Corse and the Monte Carlo. One hundred and seven of these vehicles have been sold to date, run by private customers, importers or on behalf of Peugeot Subsidiaries: South Africa, Belgium, Denmark, Spain, France, Hungary, Italy, Poland, Portugal, Czech Republic and the UK. Drivers such as Thierry Neuville and Kris Meeke were ‘discovered’ and defined their skills at its wheel. So the 208 Type R5 will have to demonstrate that it is a worthy successor to the 207 Super 2000. The 208 Type R5 benefits from all the expertise and experience of Peugeot Sport, acquired and recognised over many years. 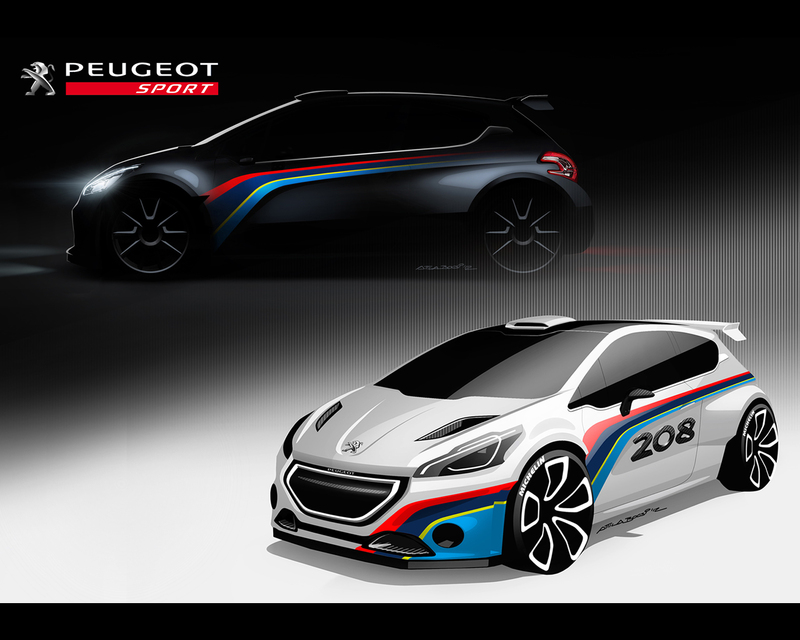 Under the direction of Alexis Avril, technical manager of Peugeot Sport, Bertrand Vallat, formerly responsible for the 207 S2000, is the project leader for the 208 Type R5. The R5 category consists of group A vehicles derived from a production model, with at least 25,000 of which having been produced. Launched for 2013 by the FIA, among its objectives is a noticeable reduction in costs, including operating expenditure. Therefore, the technical regulations will adopt the major assets of the S2000 category: four-wheel drive, five-speed sequential gearbox, no central differential and long travel suspension. This is also the case externally with widened tracks, a spoiler, the increase in the wheel arches to fit 18" wheels without forgetting the minimum weight set at 1200kg for the gravel (loose-surfaces) and asphalt (tarmac) version, as for the WRC. "Based on an optimisation of costs", explains Bertrand Vallat, "the regulations impose, among other things, a maximum price for certain parts and technical limitations such as a minimum weight of components of the chassis and engine. In addition, a certain number of components of the vehicle must be similar. The hub carrier is a perfect example. All four must be identical. This makes operation considerably easier and limits costs and stocking." Another major difference: the engine, the 2.0 lnaturally aspirated unit is replaced by the 1.6 l turbo. So, the 208 Type R5 will adopt the EP6 CDT asstandard. “We are aiming for performance which is slightly higher than that of the S2000",emphasises Bertrand Vallat. "We are starting with the 1.6 l THP, that is already a prize winner. We know that it is reliable and powerful and we can achieve 280 horsepower. We have serious foundations with this engine as it is the same as that of the RCZ Racing Cup which currently develops 260 horsepower in its endurance version. We are also aiming for a very high level of durability and reliability: with between 3000 and 5000 kilometres (according to the components and conditions), which will also reduce the operating costs." Finally, the FIA has also set the maximum price for the‘R5s’ at €180,000 excluding taxes. The 208 Type R5 benefits from the product developments of the 208 production car, particularly in regards to the weight. 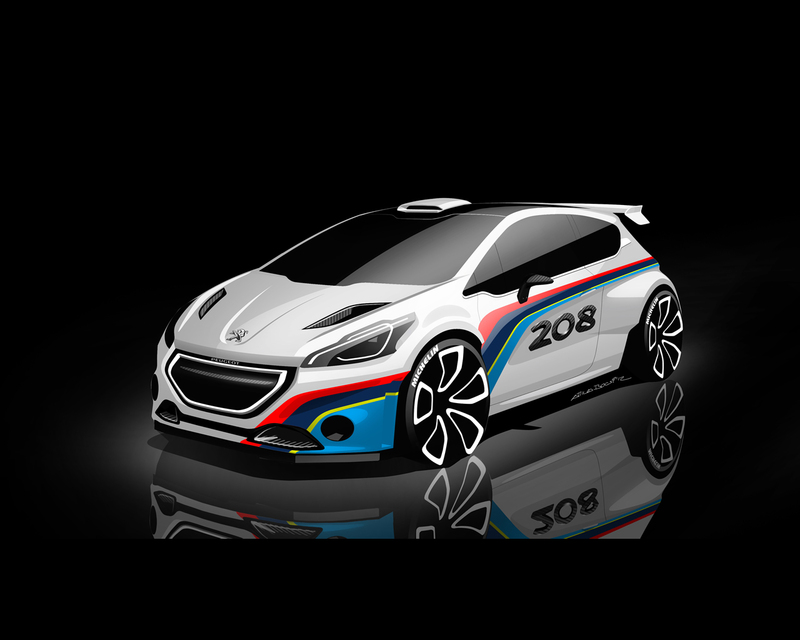 The shell of the 208 has, in fact, benefited from a weight reduction of approximately 40 kilos compared with its predecessor the 207. On the other hand, its dimensions are a fantastic advantage for the Type R5 with its long wheelbase which provides excellent chassis stability. More compact, the 208 will be more agile and efficient as a result, key factors that are sought after in a competition car. All of these dynamic qualities of the 208 combine to give the R5 excellent road holding."